Sake isn't like wine because rice isn't like grapes. If you pick ripe grapes into a bucket and leave them alone, they will ferment on their own because they're full of sugar. If you pick rice into a bucket and leave it alone, weeks later you'll still have a bucket of rice. To make sake, you have to convert the starches in the rice into sugar. Until about 700 AD, Japanese did this by chewing on it and spitting into a pot; they called it "kuchikami" (mouth chew) sake. Then traders brought a specialized mold called "koji" from China, transforming the beverage into the earliest version of something we might recognized today. With apologies to shiitake mushrooms, koji is the most important fungus in Japan. Different strains of koji produce soy sauce, miso, sake and shochu (liquor). 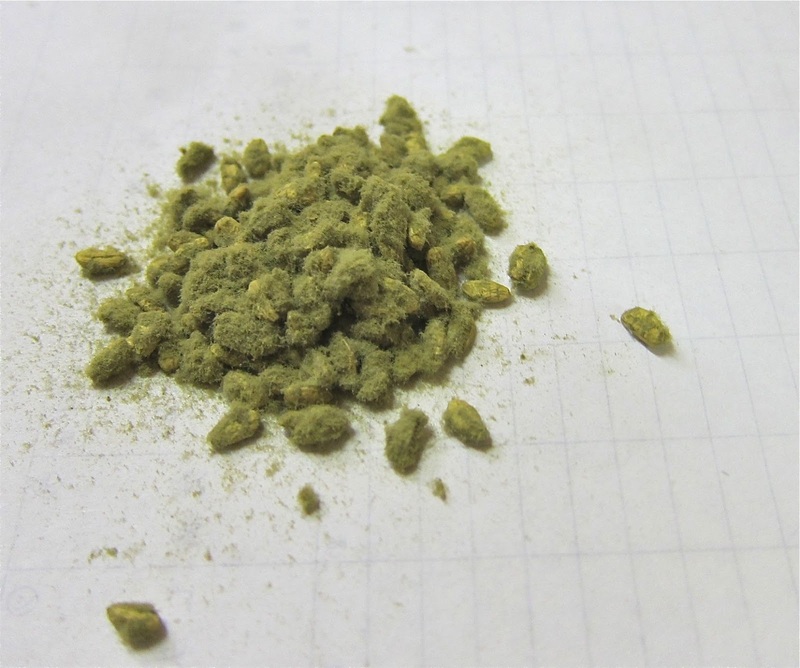 For sake, brewers carefully prepare their rice for the precious yellow koji spores by polishing it to its core, soaking it and drying it, so it becomes crumbly and permeable. Then they take it into a warm, fungus-friendly room. Nanbu Bijin owner Kosuke Kuji jokes that shochu makers toss koji spores on their rice like a man throwing bread to feed pigeons. 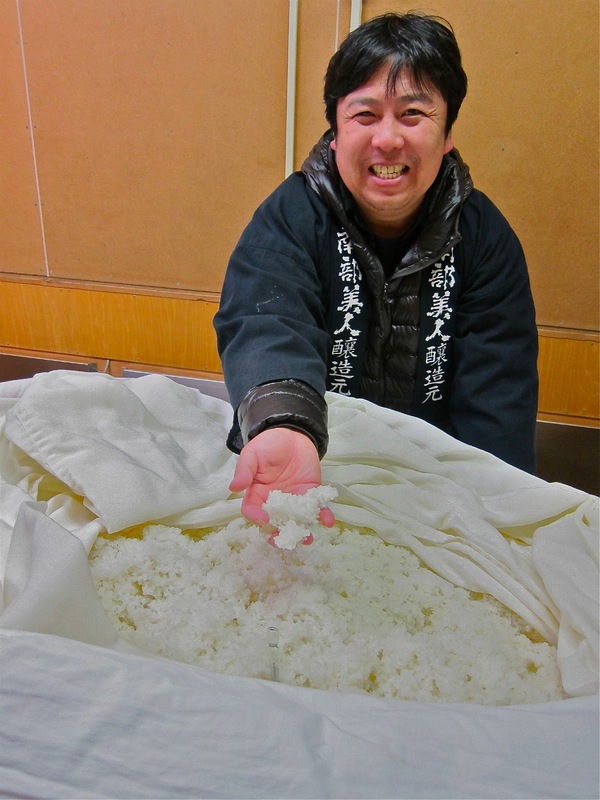 For his sake, Kuji uses a thin silk bag with tiny holes to gently waft a light cloud of koji spores onto a pile of rice about the size of a 2-year-old child. Then he covers that rice mound with a silk sheet and thick comforters -- exactly the same you might use for a child -- to keep it warm. It's a pristine nursery to raise a crop of "rice koji." Here's a frustrating linguistic twist of sake-making. In English, the word "koji" means the mold, and it also means the rice that has been penetrated by the mold, turning the rice an even whiter shade of white. More importantly, after about 4 days with the mold, that rice is crumbly sweet, sort of like coffee cake topping. You've basically turned a grain into a fruit, and from here you can start brewing booze out of it. Sake producers take that "rice koji" and mix it with other steamed rice, water and yeast to make big vats of, essentially, fermentable warm rice pudding. They add the un-koji-infected rice for a lot of reasons, but the main one is to make more sake. There's another reason to add plain steamed rice to the "rice koji," though, and it has to do with Japanese aesthetics. Adding plain rice to the mix diffuses and diminshes the powerful flavor from the core. In other words, you get more sake, and it has less flavor, and for Japanese drinkers that's a good thing. Japanese like delicate, elegant sake, the better to go with the majority of their food, which is all about letting pristine ingredients shine. Kuji, who teaches at Tokyo Agricultural University, got to wondering: what would happen if he made sake just from the rice koji? No dilution with other cooked sake -- he would make a batch in which all of the rice was completely converted by the koji mold. It was a thought experiment, and since he also owns a brewery, one he was uniquely positioned to carry out. Nanbu Bijin All Koji sake is unique, one of the most interesting sakes I've ever had, and like nothing else in the alcoholic beverage world. You'd expect it to be sweet, and my tasting notes would reinforce that: Maple syrup is the strongest impression, along with baking spices, brown butter and grilled rice. But there's also some citrus and herb and pretty good freshness, enough so that even though you think it's going to be really sweet, it's not cloying at all. The only thing I can compare it to is a medium-dry Madeira, not for the taste but more for that surprising contrast of something that seems like it's going to taste much sweeter than it is. Can maple syrup be dry and refreshing? If so, imagine that. Kuji poured us the 2012 vintage, and he also brought to a lunch of soba and tempura a bottle of All Koji Sake from 2004 to show how well it ages. Normally I'm not a big fan of aged sake, but that was, just, wow. It smells like porcini mushrooms and tastes like a salted caramel custard studded with porcini and pancetta, with anise on the finish. I've never had anything like it. Why so cheap? "This is hard to pair with Japanese food," Kuji says. "It's more for Western food." I agree. Japanese would taste this and think, there's too much going on, it's too intense, too complex, too unusual, too ... thought experiment in a bottle. Me, I love the taste of curiosity. Thank you very much for fun read article. 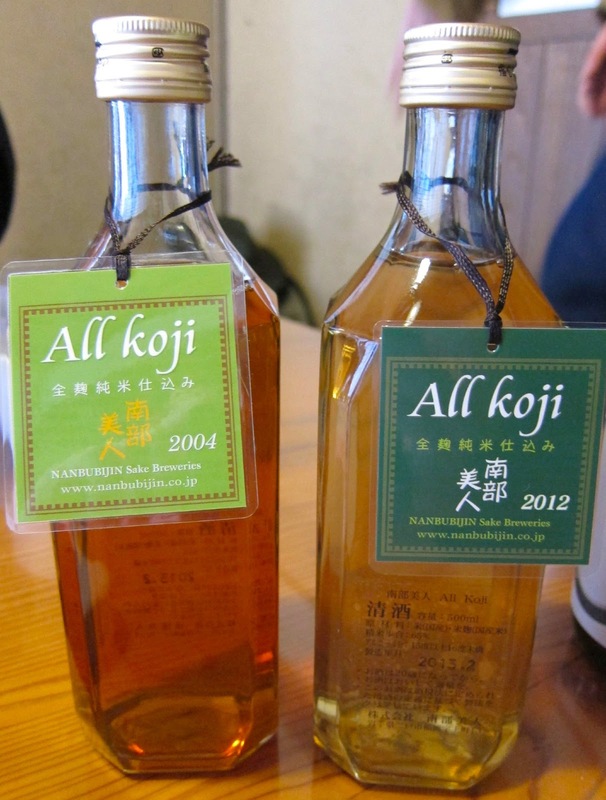 I've never heard “All Koji” sake. I'd like to try if I have chance to go visit Japan. Stay warm in cold winter Hokuriku. Have been really enjoying this series. Keep 'em coming! You're always welcome! Wait 'til you see the next one.